* Vents marked with red asterisk above are made in two halves & have a center bar. Vents on this page come with screens and rainguard-style louvers. A Siding Rabbet (continuous notch - see drawing) can be added to the back edge any vent. Once a vent is rabbeted it cannot be returned. Items may be hollowed out in the backs. Some may be made as assemblies. 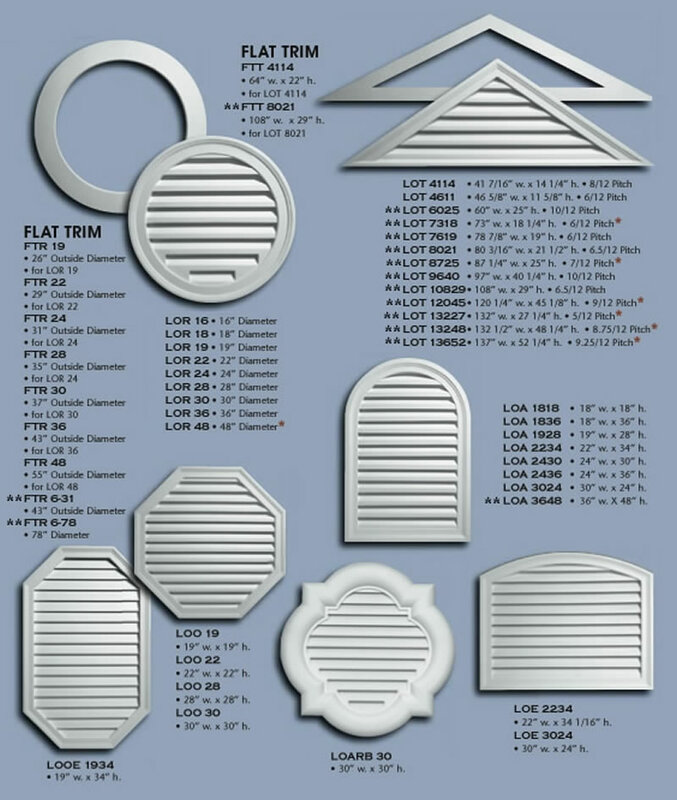 Items whose stock numbers start with F are only Flat Trim to surround a specific Vent, not the Vent itself. Quantity discounts available. ** Items marked with double asterisk require MOTOR FREIGHT shipping due to their size and may require extra fabrication time. Please inquire when ordering. Shipping Info: Select one- This item is 58’’ or longer. I read the 'Important Shipping Info' link above.- This item is less than 58’’ in length.